We recycle at our house. We are not fanatics about it, but we do collect the plastic, cardboard, cans, glass, magazines and newspapers after they are used and take them to a place where they can be repurposed. I don’t write this to appear righteous, though I did hear someone else who was depositing their items today talk about “saving the planet.” This is just a drop in the bucket when it comes to making a difference in our environment. 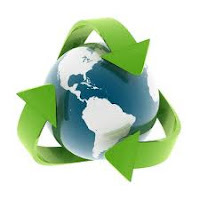 I realize that we have to do a lot more than recycle to be good stewards of God’s creation but perhaps it a small step. Many more are needed. Our congregation is going through pastoral change. Our pastor of nine years was called to a church in east Tennessee. On his last Sunday in our pulpit, he wisely chose to share with the worshipers the discernment process that led to his decision to leave. As we listened to how he had considered his own gifts and calling in the light of the new challenge, we had the opportunity to consider how this might apply to our own lives. I don’t think I have ever heard this done before, and it was certainly refreshing. So we are in a time of transition. The reaction of church members covers the spectrum. Many grieve the loss of a minister that they had come to love. An effective pastor walks with us through the difficult times of life—birth, death, sickness, job transition, family challenges—so it is natural to miss such a person. Others experience some uncertainty. 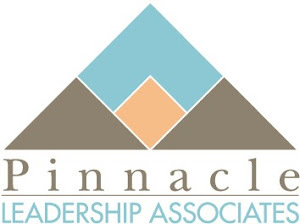 A good pastoral leader provides stability to the congregation at large during the changes of organizational life—selection of lay leaders, developing and funding budgets, making staffing decisions, conducting capital campaigns. Even if one does not agree with every leadership decision made by the pastor, he or she is a steady point of reference during times of change. Many will miss thoughtful and challenging messages based on scripture. When it is clear that the pastor has not only studied the text but let it flow through him or her, the words spoken have much more meaning and impact. We all hope for such preaching during the interim. And, of course, there are always those who welcome the change because they think we can probably do better! I have not personally encountered such a person, but I am sure they are out there. After all, we are Baptists! While driving last week, I was listening to a public radio broadcast on debunking conspiracy theories related to 9/11. The guests pointed out several theories that had been put forward and proceeded to present the information they had uncovered to disprove these ideas. During the broadcast, listeners repeatedly called in, saying in effect, “I don’t care what your facts are. There were sinister forces behind the destruction of the World Trade Center and the attack on the Pentagon.” At the end of the broadcast, the guests had to admit that no matter how much research they did, some would still believe what they wanted to believe. In recent blogs I have commented on the way we perceive both reality and past events. Due to our experiences, influences, and training, we have developed certain ways to look at the world. These filters determine how we observe, process information, see patterns, and draw conclusions. What are some of these filters? One is prejudice. If we feel that our way of life is threatened, especially by those who are not like us, we will see everything that an individual member of that group does as designed to do damage to us and what we hold dear. We develop and commit to stereotypes that sustain such prejudice. Another is fear. Closely related to prejudice (which can grow out of fear), threats to our lives, property, or status can cause us to either withdraw or attack. Even if the threat is not real, our visceral reaction is the same and we often react irrationally. A third filter is belief. If we have constructed a network of beliefs and values with which we are comfortable and help us to make sense of the world, we resist anyone who calls even a small part of these into question. Usually our systems are so tightly organized that we fear that if even one part is questioned or shown to be wrong, the whole thing will fall apart. Finally, power is an important filter. If the way we perceive things gives us power to control or influence, our perspective becomes the tool that assures us that things will be used in the way that furthers our cause. I realize that we need history, story, myths, mental maps, and worldviews to allow us to function from day to day and give our lives purpose and meaning. My concern comes when our perception of reality harms others. Unquestioning commitment to a dysfunctional perspective can lead to division, hatred, and even genocide. Is it time to ask some questions about the way you perceive reality? 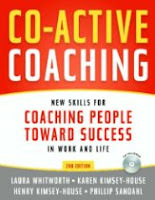 One of the most useful tools for someone seeking to understand the nature of life coaching is Co-Active Coaching, a book by Laura Whitworth, Karen Kimsey-House, Henry Kimsey-House, and Phillip Sandahl. 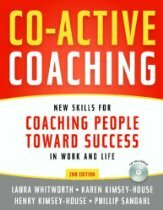 They define co-active coaching as “an alliance between two equals for the purpose meeting the client’s needs.” They emphasize that coaching is more of a relationship than a methodology with the coach and the client acting as co-creators or collaborators with the goal of benefitting the client. The four cornerstones of co-active coaching emphasize the client’s natural creativity and resourcefulness; the client as the source of the coaching agenda; the need for the coach “to dance in the moment” (go with the flow); and the importance of addressing the client’s whole life in the coaching relationship. This approach is intended to assist the client to deal with fulfillment, balance, and process in his or her life. For those who have been trained in either a very structured or faith-based approach to coaching, this book presents a more intuitive perspective. Both the coach and the client are encouraged to enjoy the journey of coaching. At the same time, this edition of the book provides a number of tools to further the work of coaching. This includes more than 35 exercises, questionnaires, checklists, and reproducible forms. There is also a CD containing sample audio coaching sessions, and printable forms from the Toolkit. 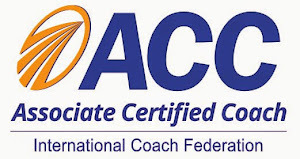 If you are a coach or a trainer of coaches, Co-Active Coaching may well provide you with a different point of view or add new facets to your coaching practice. What if you have the wrong map? I rarely use maps anymore but have become very dependent on a GPS. When the voice directs me to make a turn on road that isn’t there, I realize that my unit has not been updated recently. 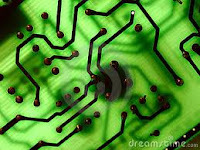 It may be a cutting edge technology, but I should avoid mistaking what is in its software for reality! Alan Roxburgh introduced me to the idea that we should not mistake the map for reality. Our maps—whether paper or digital—are only representations of reality that lack the richness and vitality of the real world. When we mistake the representation for the real thing, we miss the real joy of the journey. We should reexamine periodically the maps we use to help us interpret the world. Early on in our marriage, I discovered that my wife and I had different ideas about how housekeeping duties should be addressed. Neither of us were right or wrong, we had just been raised to think that the wife does certain things and that the husband does other things—but those things differed in our homes of origin. In reality, we still negotiate those understandings today which indicates that we don’t give up our maps easily! Our mental maps determine our expectations and practices at work, in the community, in the family, and in the church. Each of us grew up with the idea that “this is the way things are done.” The problem is that no one had exactly the same mental models. We adopted the models or maps to which we were exposed. In a book entitled In Over Our Heads, Robert Kegan writes, “We’ve discovered that adults must grow into and out of several qualitatively different views of the world if they are to master the challenges of their life experiences.” Our maps may remain the same, but the territory changes. If we continue to follow the old maps, we will never arrive at our destination. In fact we may find ourselves wandering around for a long time until we stumble upon the place we seek. So do our mental maps really match the territory? In church, are we planning ministries and outreach programs for a population that no longer exists? For many churches, Wednesday night activities still work, but this is usually in spite of the fact that the night is no longer protected by the society at large. Many of us grew up in communities where teachers did not assign students homework on Wednesday nights because it was “church night.” The same can be said for Sundays. We are no longer surprised when community or children’s activities are scheduled on Sundays during traditional times of worship. Some churches have embraced this and started offering worship and Christian education at other times such as Saturday evenings. We should pull out our maps from time to time and evaluate how well they reflect the reality of the culture and times. This does not mean that our old maps were bad or poorly drawn, but it does mean that they are now only reminders of the way things were and are no longer helpful to negotiate the world in which we live. Perhaps it is time to throw out some of those maps in our cars that have outlived their usefulness and update our GPS units. One of the things that I learned as I studied history in college (and as I have continued to read it) is that there is no such thing as an objective historian. Even the most conscientious scholar brings certain perspectives, presuppositions, and paradigms to his or her research. This may well determine what the researcher deems important and may either aid or encumber the discoveries made. If this is true of history scholars, it is certainly true of each of us as we think about our own history. Although our memories may be very vivid, they may not necessarily be accurate. We usually see only one side of events, even those events that we experienced personally. Our feelings about people and our place in the world provide the filters through which we see the events of our past. 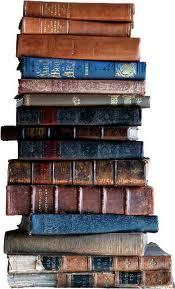 We also impose interpretations that help us make sense of the past but they are our interpretations. The person who says “This is not the church I grew up in” is not only saying something about the present but also about the past. Certainly, the church has changed due to the influx of new people and the departure of the old due to death, relocation, or choice. The thing that the speaker may not realize is that the church that he or she perceived in “the good old days” was not necessarily the church experienced by others at the same time. The teenager, even the one who is actively involved in the congregation and its youth ministry, does not see the church the same way as that the middle-aged mother who teaches Sunday School, the long-term pastor, or the embattled chair of the deacons does! There is a lot more going on than one person can perceive from a single point of view. Very often we create our history out of our present day needs, picking and choosing the events and people that provide the support we need right now. This is not necessarily unhealthy, but we should do this with a measure of humility, realizing the expectations we bring to the task. Were the “good old days” necessarily that good? “This church just does not respond to leadership.” The voice on the other end of the phone was that of a pastor whose vision for his church had been defeated in a business meeting the night before. He had not been helped by an enthusiastic supporter who had recommended that the plan be accepted by a two-thirds vote! As I remember, my response was something like, “It depends on the type of leadership.” Leadership is a complex concept. The way it is exercised and accepted is based on context, culture, attitudes, history, and personal needs and expectations. 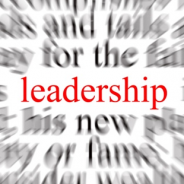 Leadership is a stewardship to be handled with care and humility. To do otherwise leads to marginalization or alienation and conflict. One mistake my friend made was to think that the primary measure of his leadership was a vote in a business meeting. If a leader, especially one in a church, thinks that getting an affirmative vote on the floor of a business meeting validates one’s leadership, he or she has grossly miscalculated. Leadership is measured much more by the authority conferred by the people rather than the authority assumed by the leader. Washington’s new memorial to the Rev. 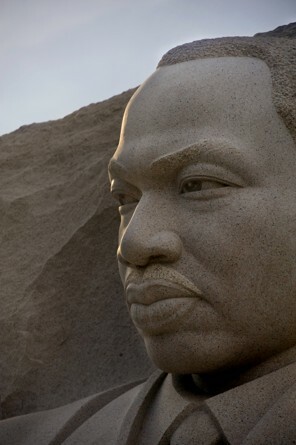 Martin Luther King Jr. opens to the public today. The opening of this memorial offers us an opportunity to reflect not only on a man but a movement. Every movement needs a person who will step up and make the sacrifices necessary to be not only the spokesperson and spiritual leader but the lightning rod for criticism and potential harm. Dr. King was such a person, but we need to remember those who worked with him and throughout society in the 50s and 60s. Some were the “shock troops” of the movement who put their bodies and lives on the line for what they believed. Rosa Parks, freedom riders, workers with organizations like CORE, SNCC, and SCLC, students, religious leaders and ordinary men and women—both black and white—stood up for an unpopular cause. Even the President, Attorney General, and other national leaders lagged behind these citizens in taking a stand for civil rights. There were others who supported the cause in their own way, often working behind the scenes to change attitudes as well as laws. These included many white leaders both inside and outside the church who saw the demonic nature of segregation and sought to change a society. Several had a great influence on me. Louie Farmer, the director of the Baptist Student Union at the University of Southern Mississippi when I was a student there in the early 1960s, was certainly not an activist, but he put a copy of T. B. Maston’s The Bible and Race in my hands and gave me the impetus to begin formulating a different perspective on race. Harold Kitchings, pastor at University Baptist Church in Hattiesburg, Mississippi, did not complete his doctorate in ethics at New Orleans Baptist Theological Seminary, but he conducted informal seminars with a college sophomore that added additional insights to my emerging conscious on racial equality. Others like Robert U. Ferguson, my pastor during teen years, were working with local and denominational structures to change attitudes, and he was a strong influence on my attitudes. Farmer, Kitchings, and Ferguson will not be mentioned when the King Memorial is dedicated, but they were part of the movement that Dr. King led. They brought the movement down to the individual level, making a difference in my life and the lives of many others. 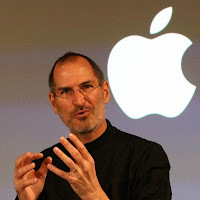 In Medici Effect, Frans Johansson identified the process by which innovation often comes from bringing experts from different fields together to provide unique perspectives on an issue. 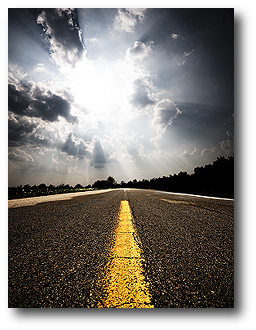 This process happened this week as the insights of two individuals—an entrepreneur educator and a theological educator—came together to reinforce an idea that I addressed in a previous blog. On Sunday morning, Molly Marshall, the president of Central Baptist Theological Seminary preached at our church. As she talked about “Hoping with God,” she referenced pastoral educator Andy Lester’s comment that each of us has the opportunity to “craft a future hope.” We can spend a great deal of time reflecting on the story of our past that we cannot change or we can write our future story. God has placed in our hands the resources to do this. Dr. Marshall went on to explain how this is done as part of the Christian community. I wrote last week that history doesn’t always repeat itself. I pointed out that we should not become attached to any method, program, or emphasis because it may be transitory. The statements of Drs. Schlesinger and Marshall reminded me that God has given us the responsibility for our future. Events may cause us to adapt or change our trajectory, but those decisions are in our hands. We have been uniquely gifted by God to make a difference in the world. Let’s get on with it! In a recent blog, Seth Godin pointed out that “history doesn’t always repeat itself . . . but it usually rhymes.” Most of us grew up with the world view that history tends to be cyclical—wars, famines, economic disasters—tend to recur on a regular basis. The players may be different, but the circumstances are pretty much the same. This worked pretty well for us when we were much more tied to a low tech, agricultural culture. Godin points out the new reality that the next “big thing” may look very different from the last one, bringing with it a number of unexpected consequences. For example, when we started using pagers, did we really expect that they would be replaced by compact “communicators” that we call cell phones? Cell phones (and smart phones) have brought a whole different kind of wireless connectedness to our culture—text messages, instant pictures and videos, and delivery of music, movies, and other media—all in the palms of our hands. All of this has changed so quickly that we hardly remember how we were limited to wired media—landlines, faxes, etc.—only a decade ago. Of course, this will pass quickly into something else that we can’t even predict at this point. Those of us in the church tend to think in cycles as well. Too many of us are “waiting for the parade to some around the square again” so that the methodologies that worked in past decades will be relevant again. Don’t wait. It’s not going to happen. Not only has the way we do church changed, the expectations that people have of church have changed. Certainly, they still desire to come closer to God in worship and grow in discipleship, but the delivery systems have changed even as the context has changed. “Most of the time, we’re dealing with a moment, a step in a trend. We fail when we fall in love and believe there is no next step.” So what’s the next step for the church?